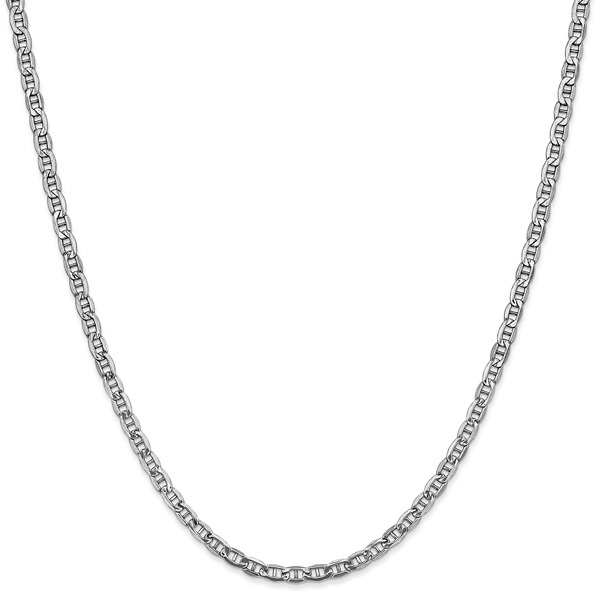 A 2.5mm width 14k white gold mariner chain necklace, available in 18", 20", and 24" length. The mariner chain includes a secure lobster claw clasp. 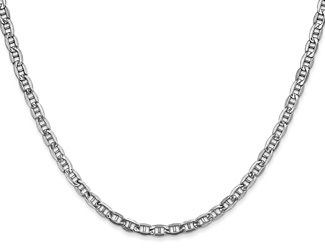 This chain is 14k solid white gold, with semi-solid hollow links to create a more affordable, lighter weight chain. We guarantee our 2.4mm 14K White Gold Mariner Chain Necklace to be high quality, authentic jewelry, as described above.